Container gardening is the perfect solution if you want to plant a garden but are short on space and time. 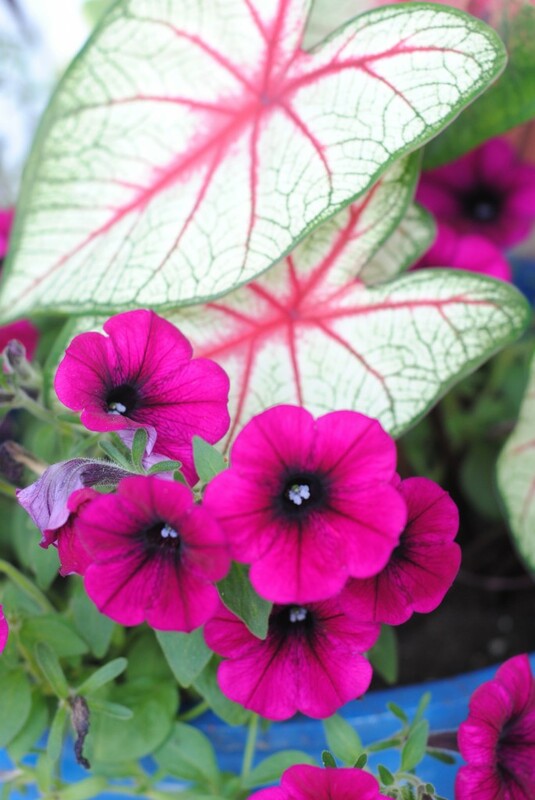 They can also enhance your curb appeal and brighten your patio, deck or front door. 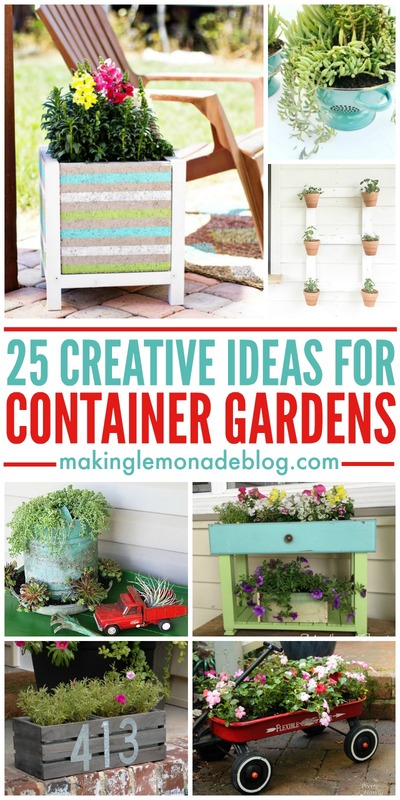 Either way, these 25 creative and easy to care for container gardening ideas will provide tons of inspiration and plant combination ideas for your container gardens this summer! 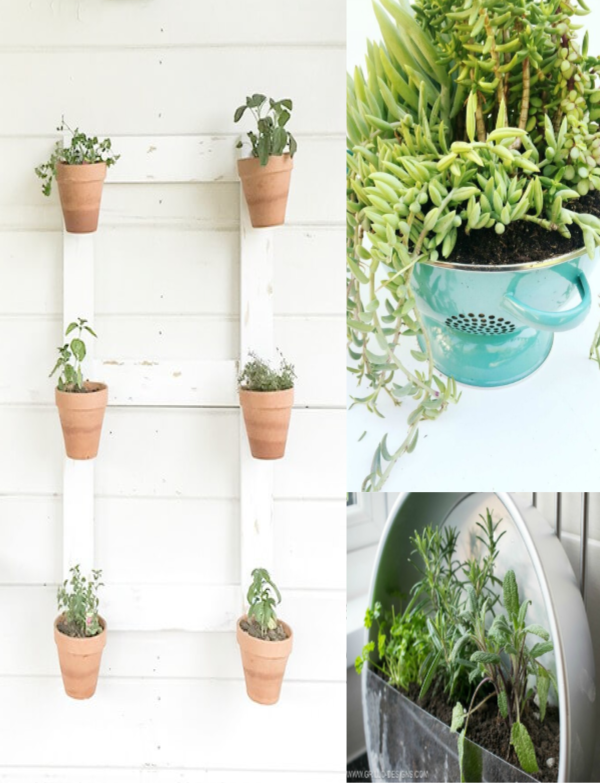 Looking for more gardening ideas and tips? 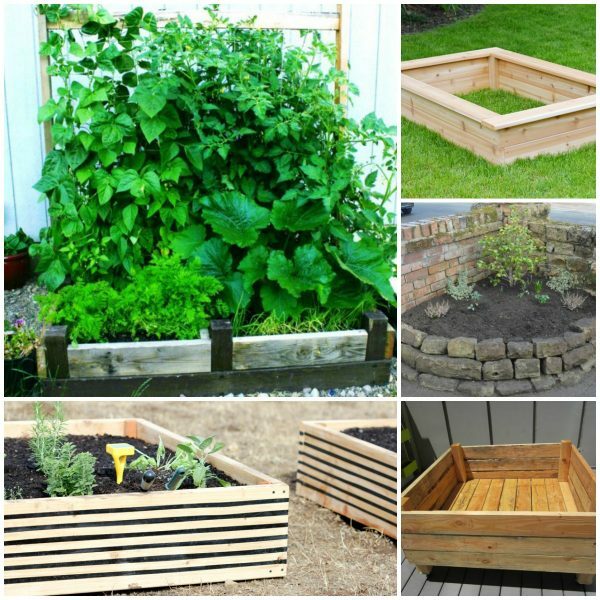 Check out these 20 raised garden beds that you can make in a weekend and how to spruce up a deck or patio and make it magical with this easy hack for hanging outdoor string lights. I used to be able to tell spring was coming by noticing the buds on the trees, but nowadays in North Carolina you know spring is here because everyone is sneezing and your patio furniture turns yellow (thanks, pollen!) Regardless, I flipping LOVE spring because that means summer isn’t far behind. Anyone else find themselves wandering the aisles of your local nursery and dreaming of what to plant and grow? 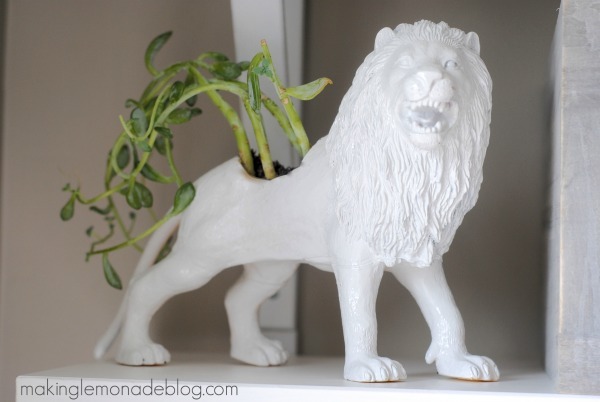 If that describes you, you’ll love today’s post with 25 creative ideas for container gardens! 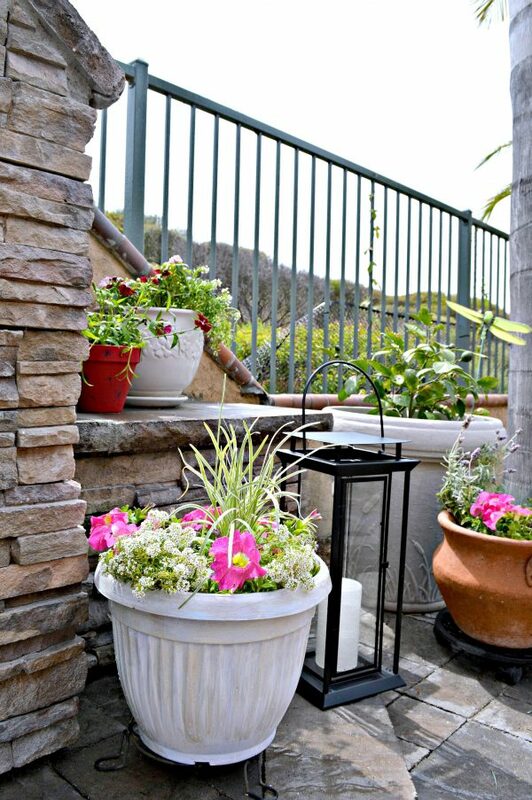 Before you get started planting, here’s 5 tips for outdoor planters that will save you money and have your container gardens looking gorgeous all season long! One of my all-time favorite projects (it’s an oldie but goodie, as you’ll see from the photos!) is the vertical herb garden we planted on our deck in Pennsylvania. I still miss this handy kitchen garden! We also made some interesting animal planters out of large plastic animals that we painted white. This would look amazing with elephants and dinosaurs, too. 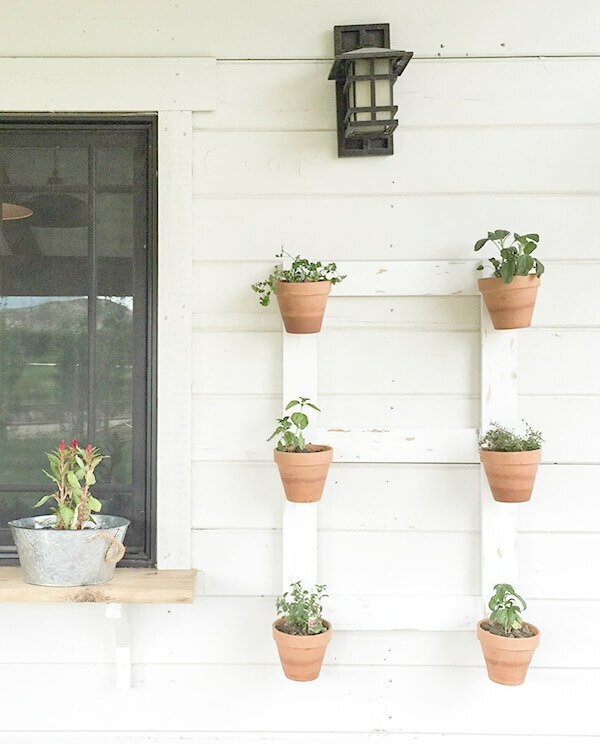 Speaking of farmhouse decor, this farmhouse wall planter from Twelve on Main would be a beautiful addition inside or outside. 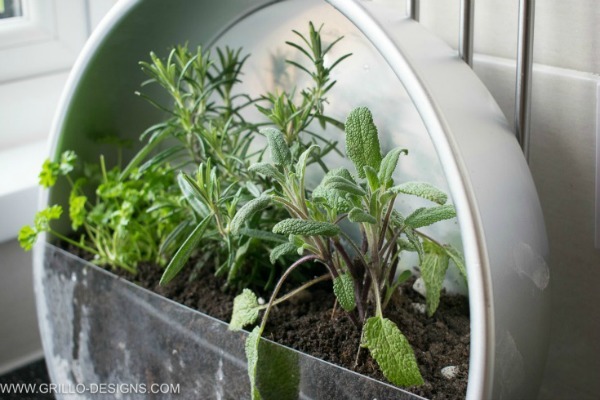 This indoor herb planter made out of baking tins from Grillo Designs is a practical and pretty way to reuse old baking pans. 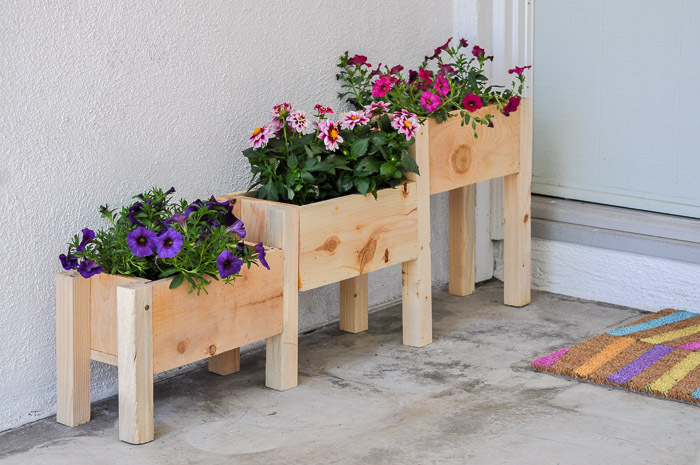 You can easily build your own tiered planter boxes like these from Anika’s DIY Life to hold your beautiful flowers each year. 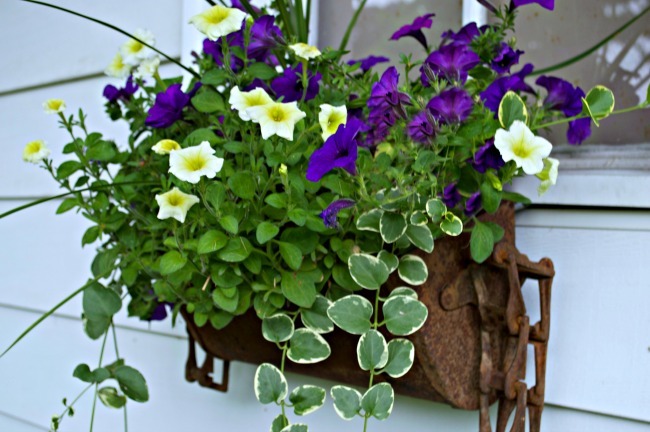 This rustic window box from Chatfield Court is a classic way to show off some pretty flowers. Don’t toss out that old bedroom furniture yet! 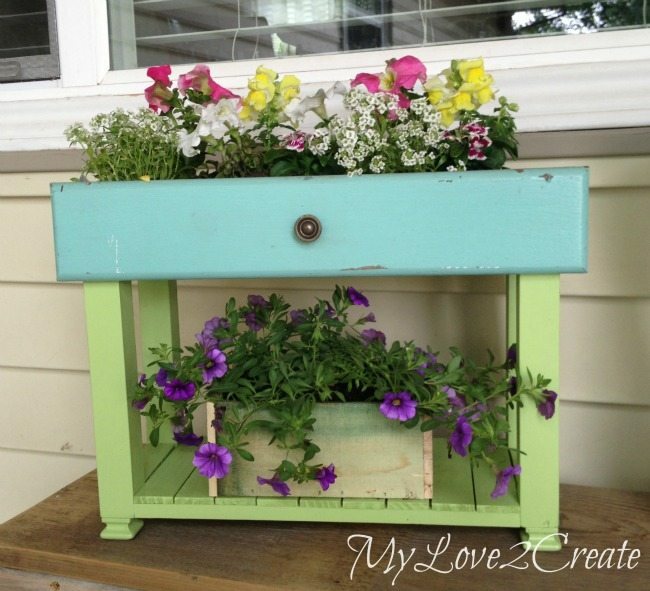 These old drawer porch planters from My Repurposed Life would make a great weekend project. Have an old birdbath that you no longer use? 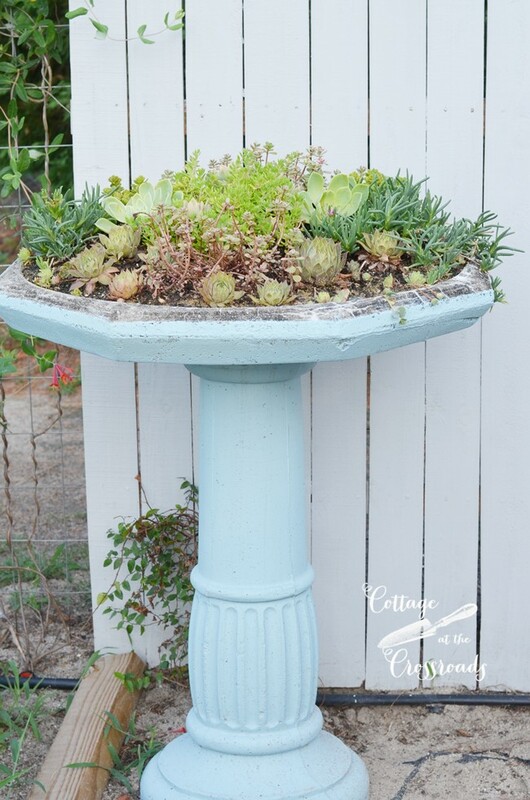 Convert it to a cute succulent birdbath planter like this one from Cottage at the Crossroads instead. 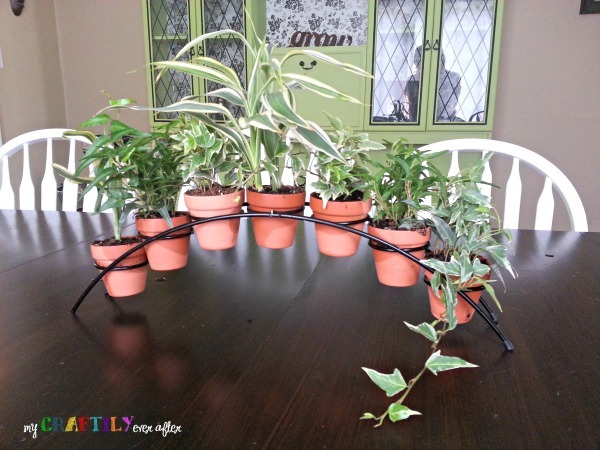 These upcycled Dollar Store planters from My Uncommon Slice of Suburbia are a great example of turning plain jane pots into something fabulous. 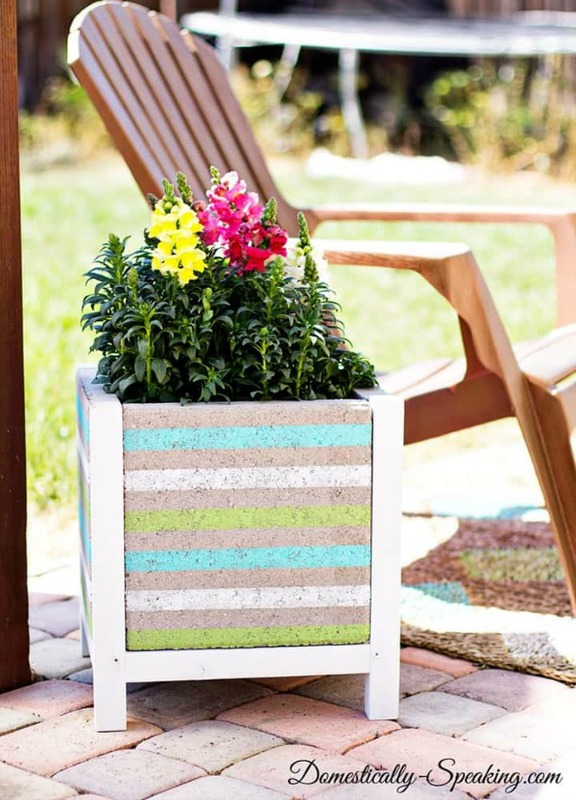 This striped paver planter by Domestically Speaking would make an amazing addition to any patio. 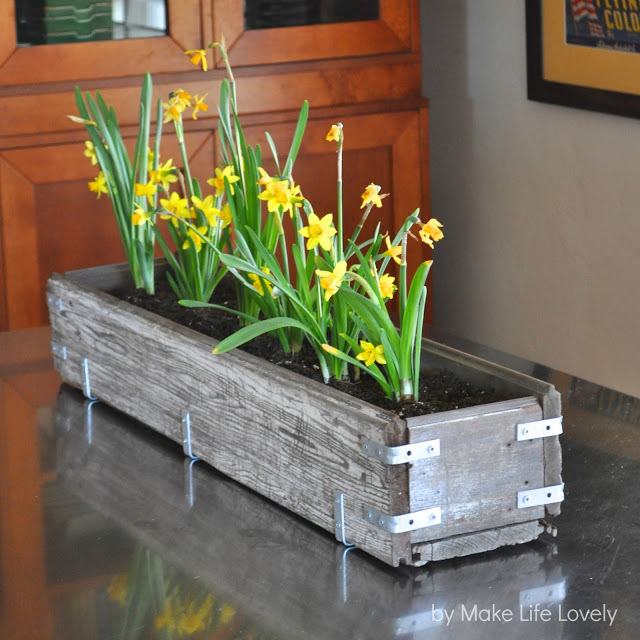 Make Life Lovely’s rustic wood planter box makes a beautiful centerpiece for your table. Change out the flowers according to the season. 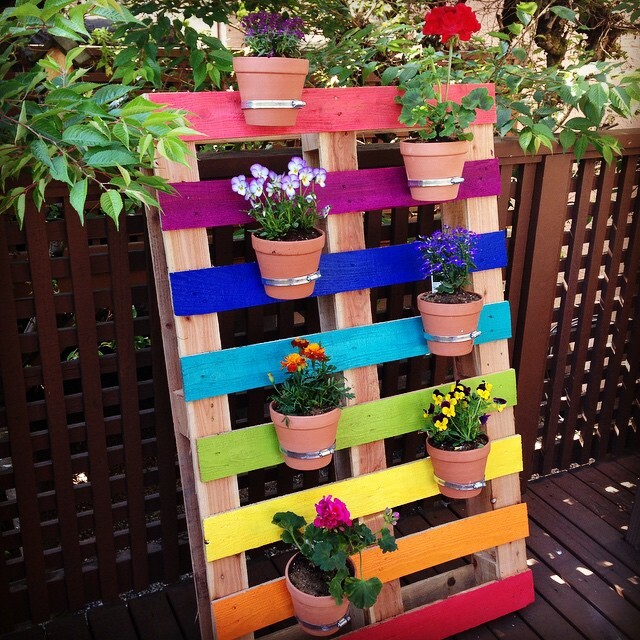 Add a burst of color to your outdoor decor with an upcycled rainbow pallet planter like this one from Hello Creative Family. 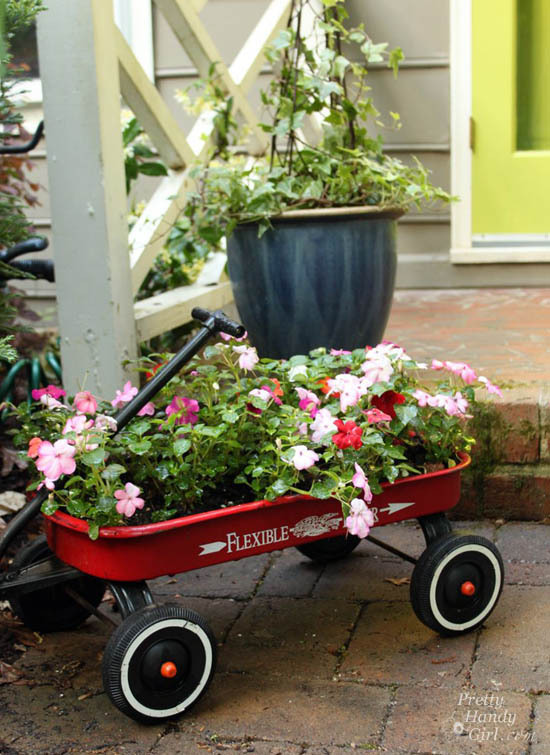 Convert your kiddo’s old wagon into a whimsical wagon planter for flowers. 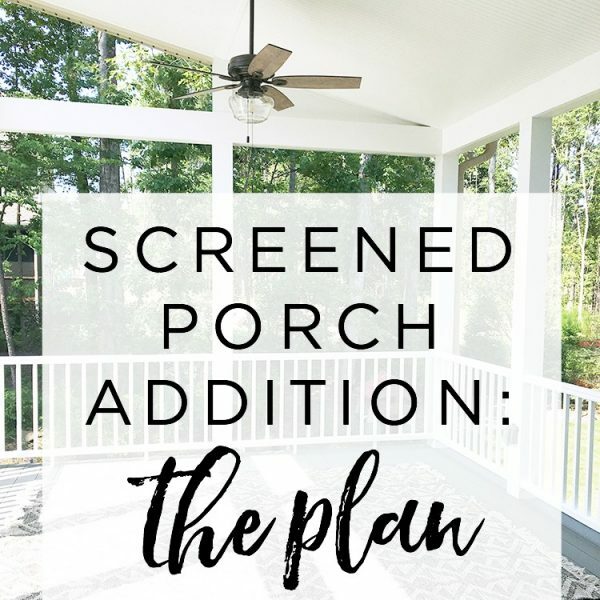 What a cute project from Pretty Handy Girl! 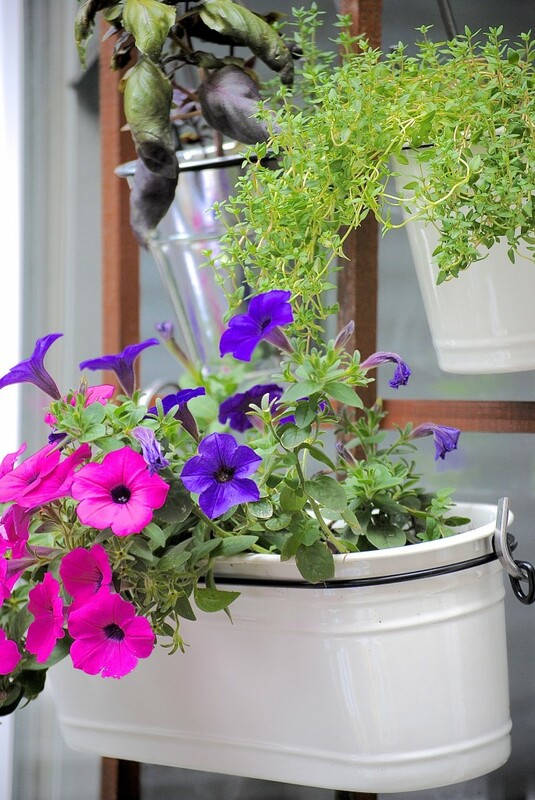 I’ve seen several colander planters like this one from Pretty Providence, and the color really makes this one pop. 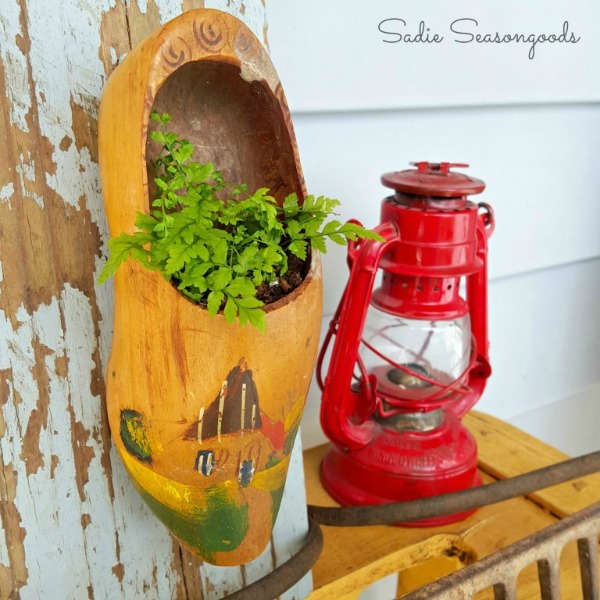 Sadie Seasongoods’ wooden shoe planter is a darling option for spring flowers and other small, dainty plants. 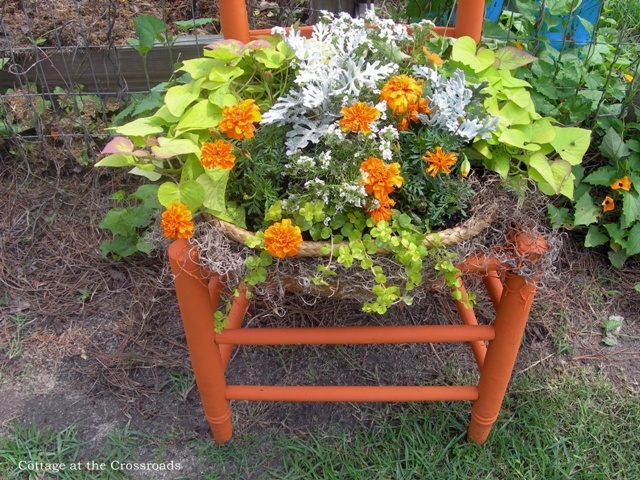 This chair planter by Cottage at the Crossroads is a favorite! The orange in the marigolds goes beautifully with the paint. 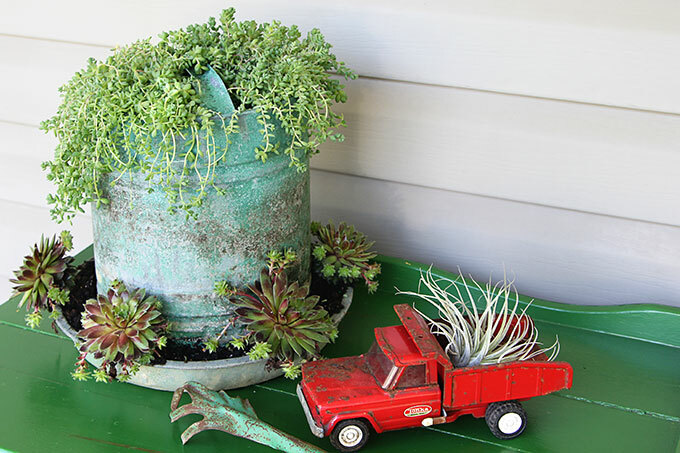 Turn old farming goods into planters like this idea from House of Hawthornes! 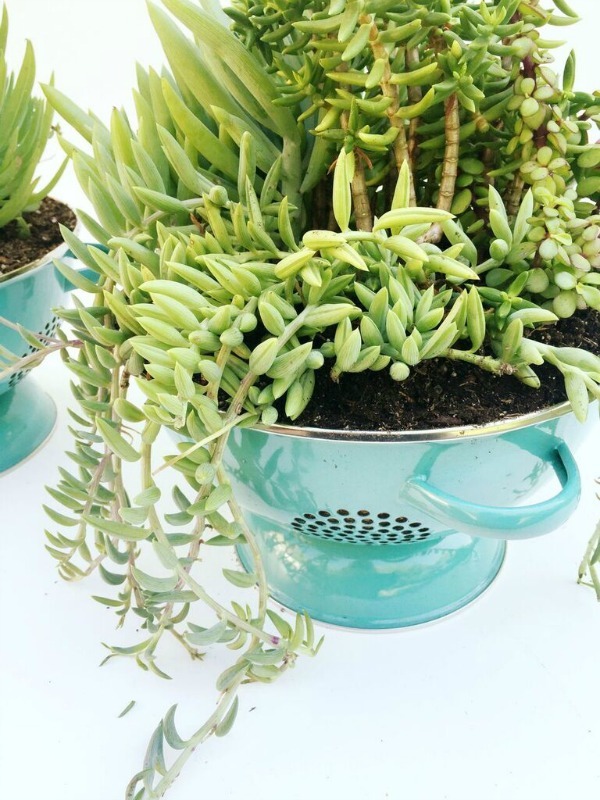 This chicken waterer made a charming farmhouse planter for succulents. 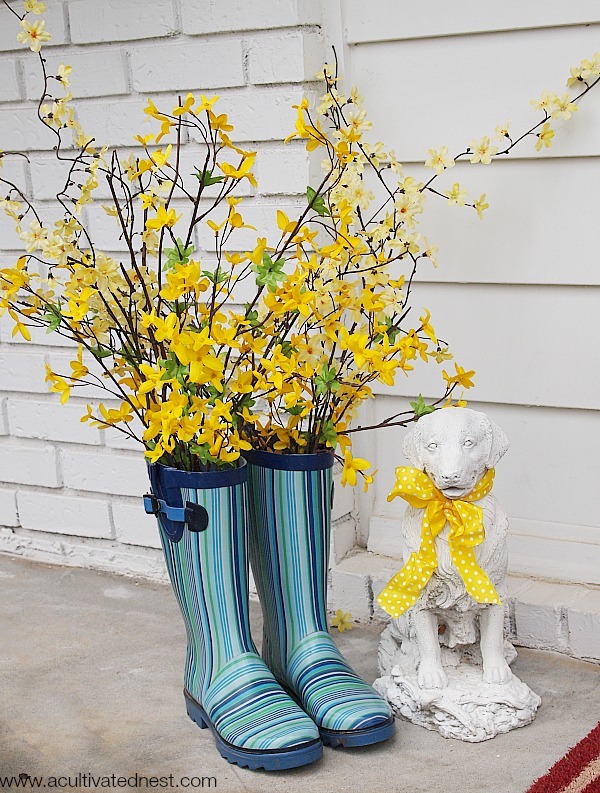 A Cultivated Nest has the right idea for spring with these lovely rain boot planters. You can just stick branches in them or actually plant something in soil. This precious thumbprint planter from 5 Minutes for Mom would make a lovely gift for moms, aunts, and grandmas. 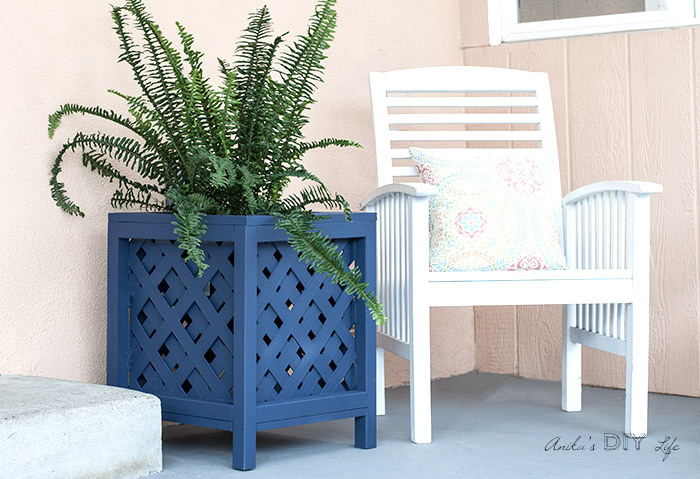 This colorful lattice planter box from Anika’s DIY Life is a terrific choice for ferns and any larger plants you want to show off. 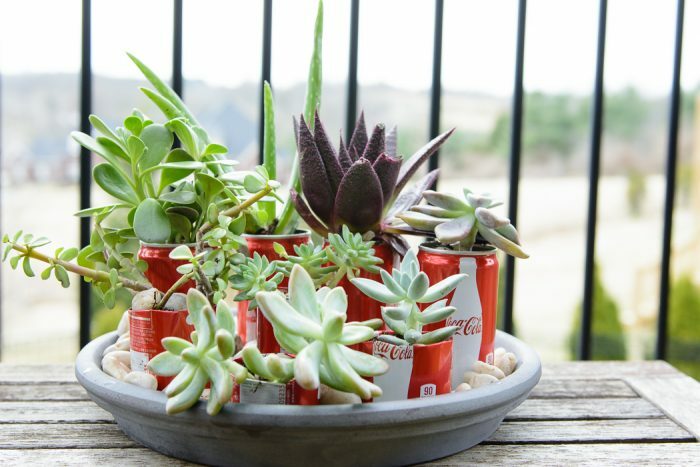 These Coke can succulent planters from Polkadot Chair are quirky and fun! 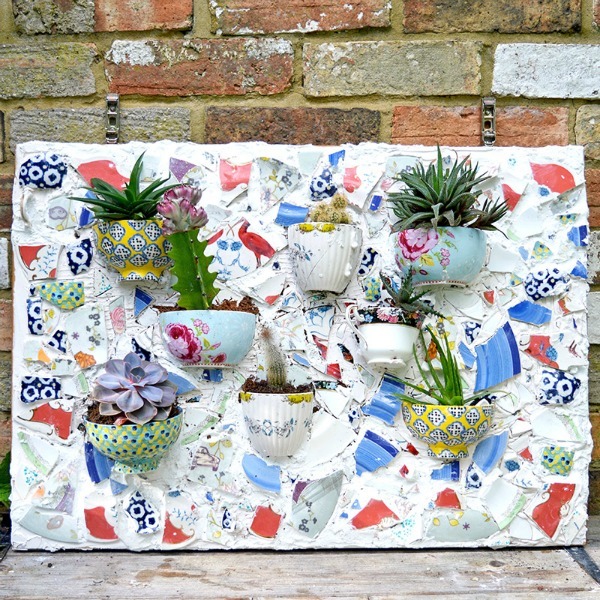 This broken crockery planter from Pillar Box Blue will be quite the statement piece on your porch! 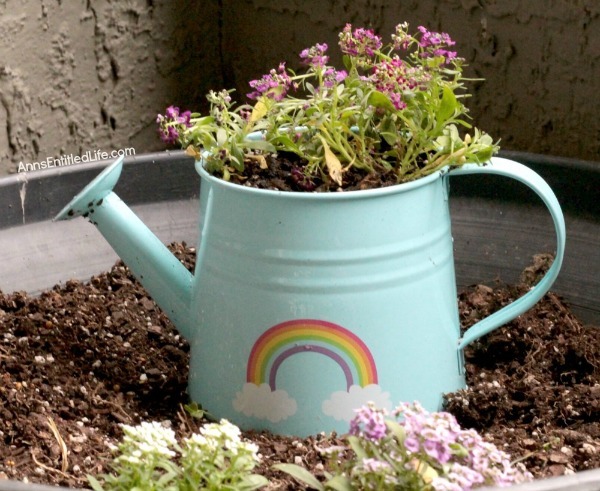 A watering can planter like this one from Ann’s Entitled Life is a fun way to plant flowers for spring. 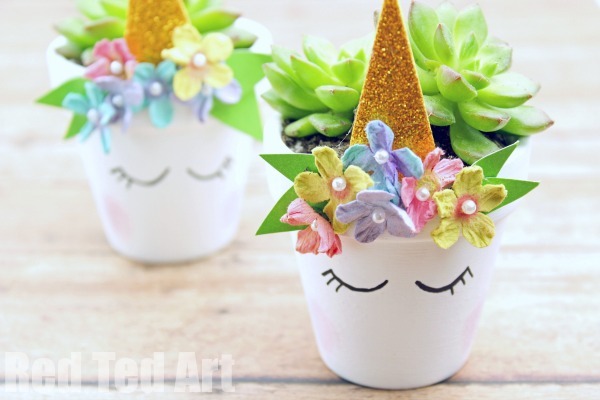 Red Ted Art’s unicorn planters will look amazing in your little one’s room. 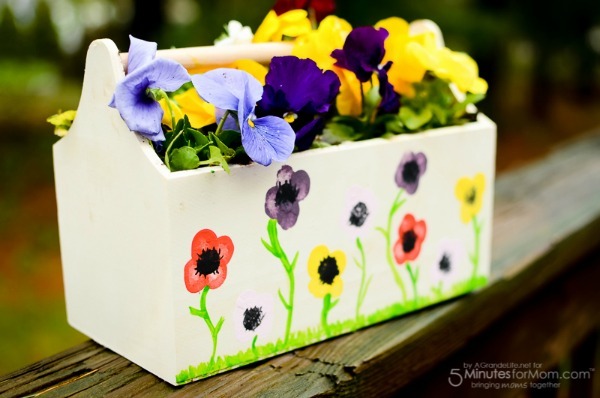 What a great way to introduce kids to container gardening! Mini terra cotta pots fit perfectly into some candle holders like they do for this candle holder planter by My Craftily Ever After. 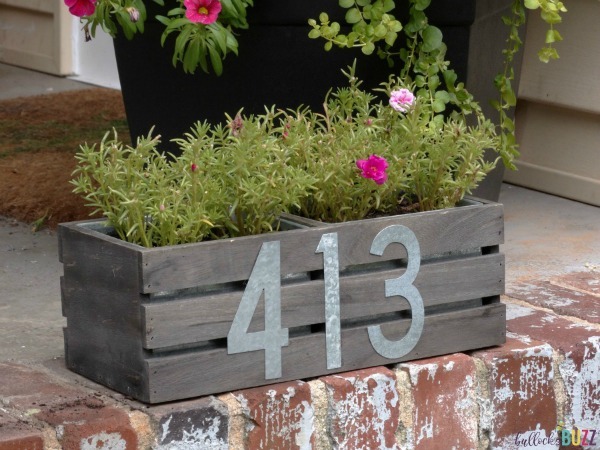 Bullock’s Buzz’s house number planter is a creative way to display your address while jazzing up your porch or patio a little. 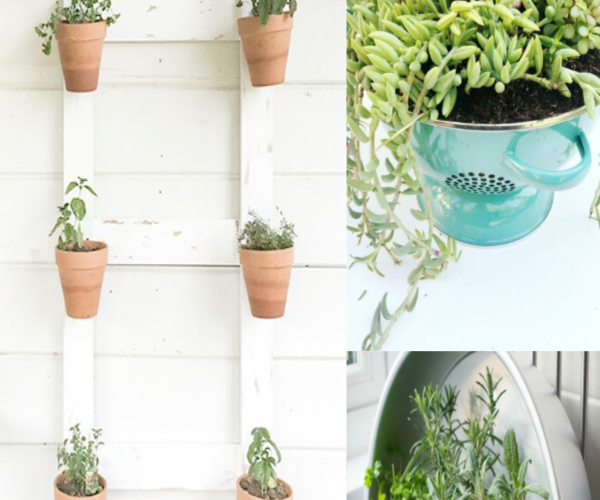 Ahhhhh… these creative containers gardens are making my heart sing! Who else is ready for spring?